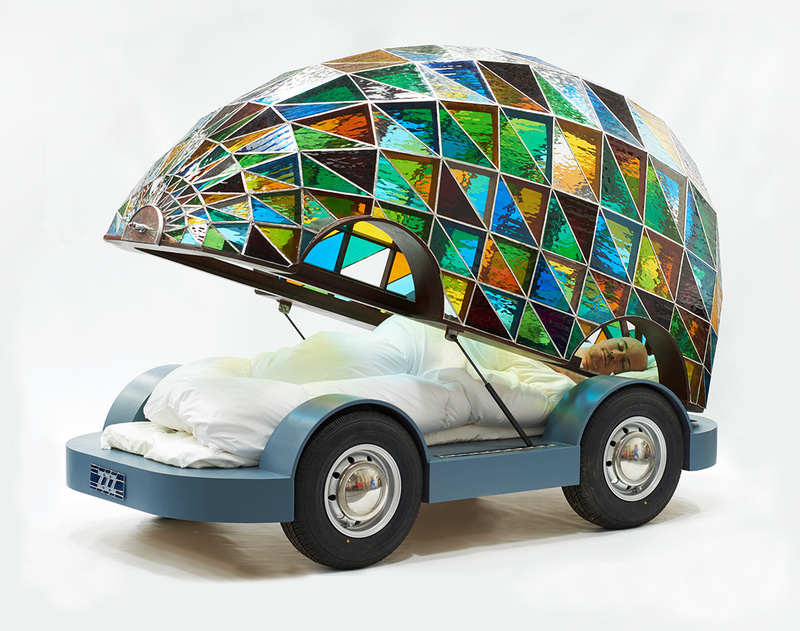 The smart car takes on a new meaning with this fabulous dome-shaped bed that’s really a car. Yes, that’s right, you can get that extra 15 minutes of sleep that you so deserve. 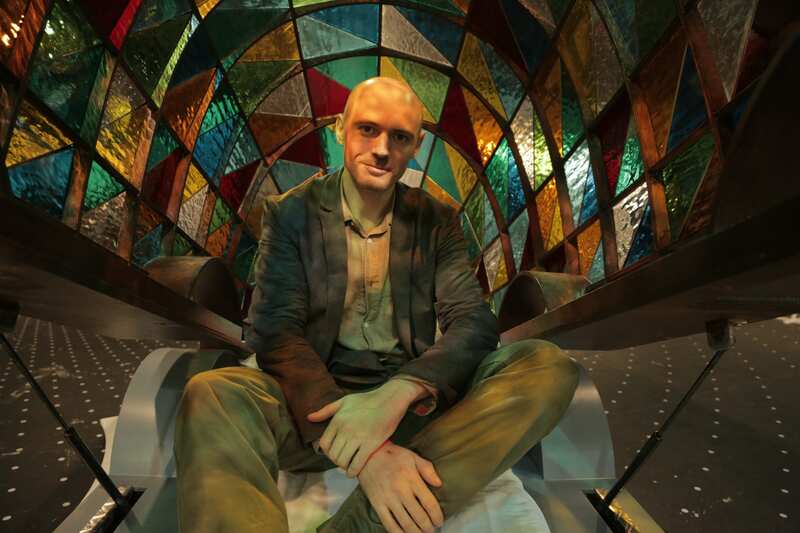 London-based designer Dominic Wilcox has just made your dreams come true… literally. The genius of a man has designed a driverless car that allows its passenger to take a snooze while the car handles the roads all on its own. 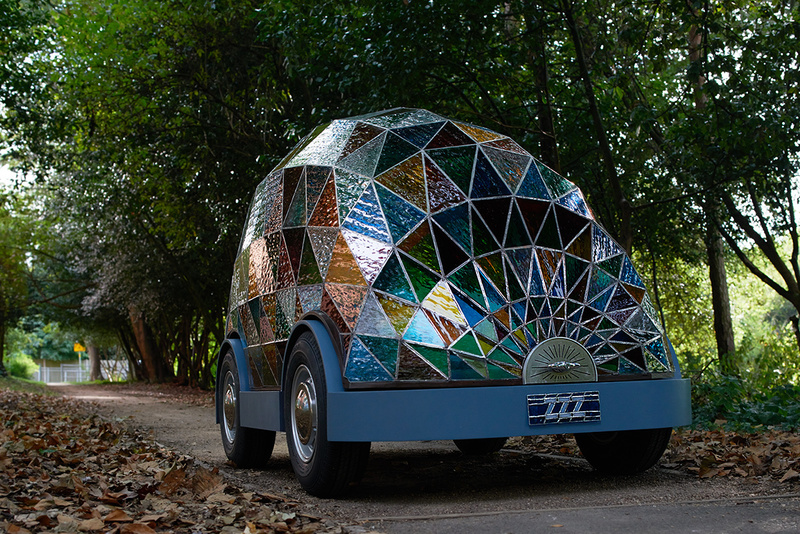 This car of the future is controlled by a computer system that is said to change the roadways as we know it by using technology to avoid accidents and other hazardous road mishaps… like the famous bird-flippers, slowpokes and aggressive Nancys. Made to look similar to a pod, Wilcox made the car in its unique design to show off the options that we’ll have for future cars. Not needing any type of additional protective designs, owners can have any look they choose without sacrificing safety… or style. 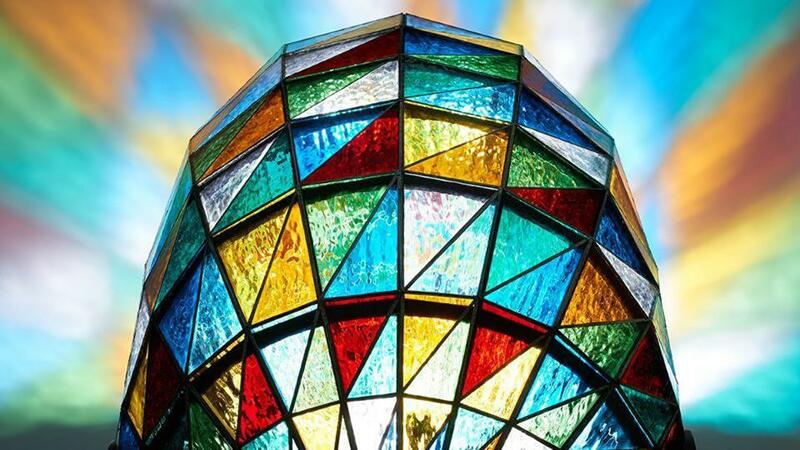 This design, which was showcased at the London Design Festival mid-September, features stained glass for the outer shell. Attached to the wooden base of the vehicle using a copper foil technique, the top can be opened at the front and hinges at the back. If you’ll notice, there are no controls in the vehicle, as Wilcox imagines that the “driver” will be able to control their car remotely. It’s safe to assume he also doesn’t think we need cup holders for our coffee cups with all of that extra sleep drivers will be getting in the pod. 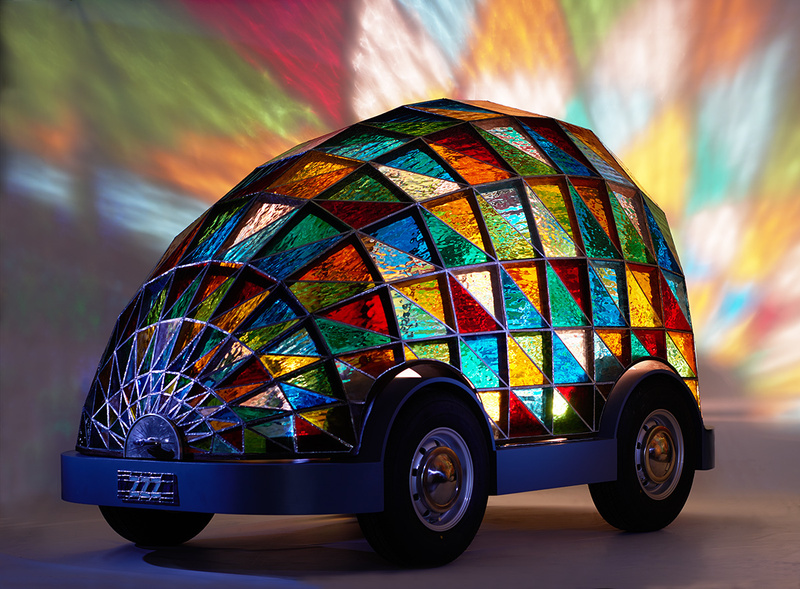 Also referred to as the Taxi Robot, Dominic Wilcox has already created a website where potential consumers can start to design and dream of their future car. 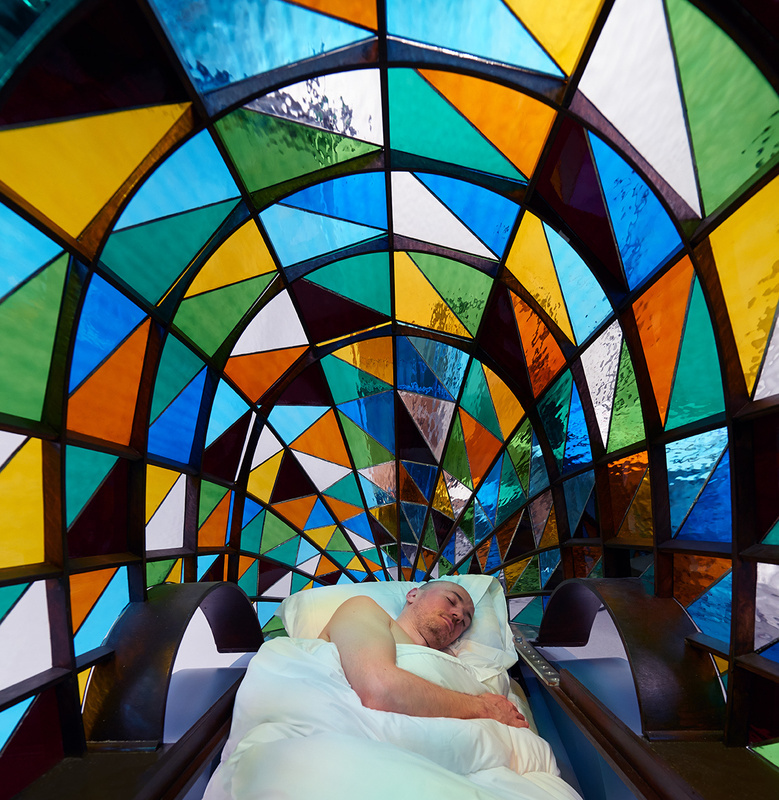 Outside of the sleeper bed, drivers can select a Jacuzzi design for those who wish for a little bubbly before work, a treehouse for the adults who just don’t want to grow up, St. Paul’s Cathedral for the very devout, and a few other options to fit the lifestyle of their choice. Still only a concept, the car of the future has a bit more tweaks that will need to be worked out prior to hitting the market. In the interim, we’ll just have to make do with a morning cup of joe to get us through our daily commute until we can enjoy safely snoozing on the road. Are these lifelike sculptures too risqué for your garden?